This Wednesday night, 7 pm ET #Unity4J will be addressing participants in the global movement. This will be the third "State Of The Movement Address" which is a somewhat informal discussion of tactics and strategies moving forward. 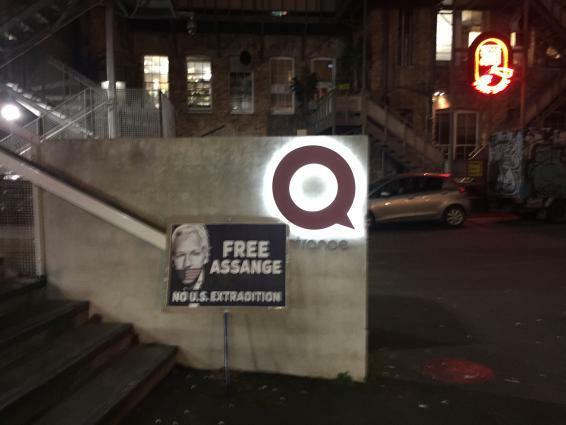 Unity4J has tasked themselves with raising awareness about Julian's plight through a series of online vigils which are scheduled for the first weekend of each month. The first such event took place early June. You can watch the entirety of the previous vigils at the unity4j.com website. Free speech advocates, whistleblowers and journalists like Kim Dotcom, Daniel Ellsberg, Caitlin Johnstone, Cassandra Fairbanks, Daniel Ellsberg and others have pledged their support to the global Unity4J movement. The event should run around 2-3 hours and you can view it at the link below. If you miss the live event you can watch later. The first online vigil event ran nearly 24 full hours and can be viewed below (in two parts as YouTube limits livestream length). Despite the case he was facing being dropped by Sweden, Julian is still currently trapped in the Ecuadorian Embassy. Thankfully, the New Zealand embassy is giving some thought to offering him asylum. According to Julian's lawyer, his health is at risk as he's been unable to see a doctor. His mother Christine Assange has also made it clear that she's noticed the decline in his health especially since the most recent "solitary treatment" he's been receiving. If free speech, transparency and accountability are valuable to you, the plight of Julian Assange concerns you. When you reveal dirty secrets of powerful people for years, you tend to become a target. As a result, Assange and Wikileaks itself have been in the crosshairs for years. Julian and Wikileaks are a canary in the coal mine of free speech.